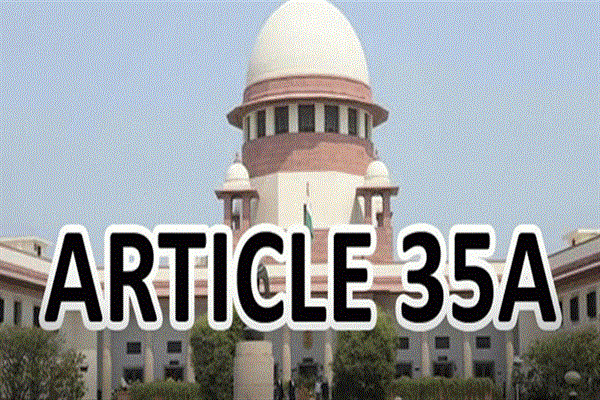 Srinagar, Feb 12 (Agencies): A delegation of Kashmir High Court Bar Association (KHCBA), Srinagar left for New Delhi on Tuesday to appear before the Supreme Court (SC), for seeking the dismissal of all the petitions challenging the Article 35 A on 13 and 14 February. General Secretary of HCBA, Advocate G N Shaheen told media reporters in srinagar that a team of lawyers left for New Delhi today to appear before the SC. KHCBA General Secretary further told media reporter at srinagar that the team of lawyers has already made every preparation for the case and has already submitted 65 pages affidavit before the court in this regard.